Posted December 4, 2018 by The Rapid & filed under News. Are you still in search of the perfect gift for everyone on your list? We have something that your co-workers, friends and family members will love. We’ve got an idea that will move you! Transit is the gift that keeps on giving. So why not spread the love? The Rapid offers a number of different fare types and purchase options to best meet your needs when using the fixed-route system or GO!Bus. 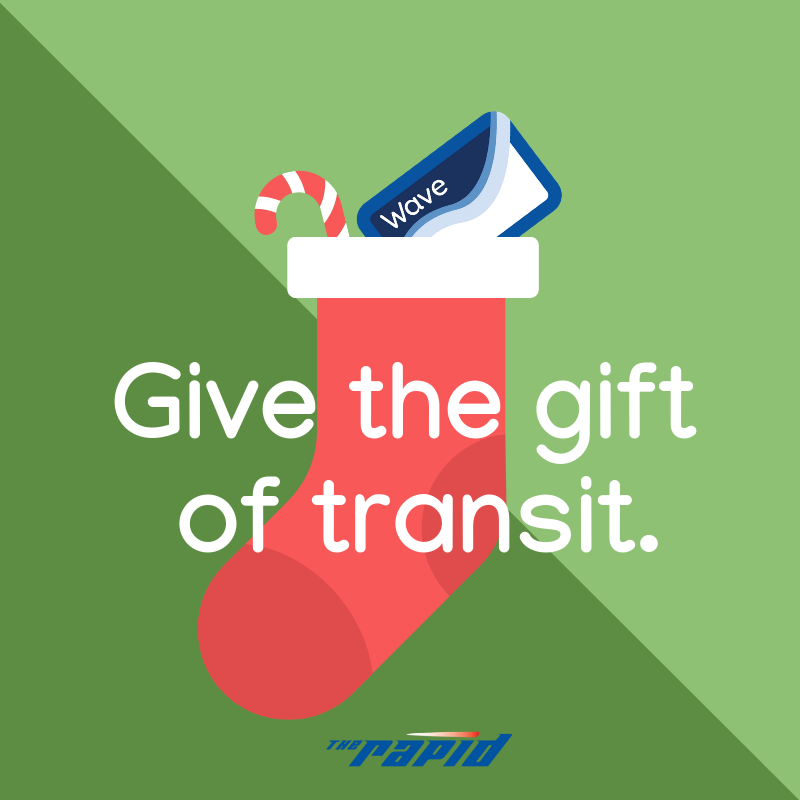 Consider gifting a pre-loaded Wave card to those you love. You can purchase your cards online at http://wave.ridetherapid.org or in-person at Rapid Central Station on weekdays between 6:30 a.m. – 6:30 p.m.
— Adult Card – Just add funds and gift! — 10-Ride Card – Load with $13.50 and you’ve just covered 10 rides for someone you love. The gift of transit comes with numerous benefits. Riding The Rapid reduces congestion and improves air quality, creates economic vitality for our region, makes our community a better place to live, work and play — and it helps save you money. Check out our helpful fuel savings calculator to find out just how much you can save riding transit.